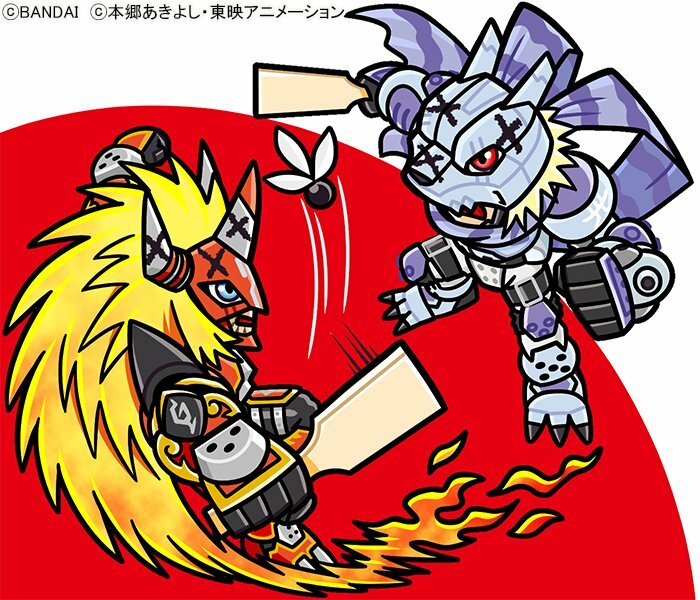 When the Bandai Digimon Twitter started posting a stack of anime themed New Year's 'game' images (activities kids and others might do on New Year's in Japan) it seemed like it'd be fun to wait and post them all at once, even if it took a week and a half for them to all show up. 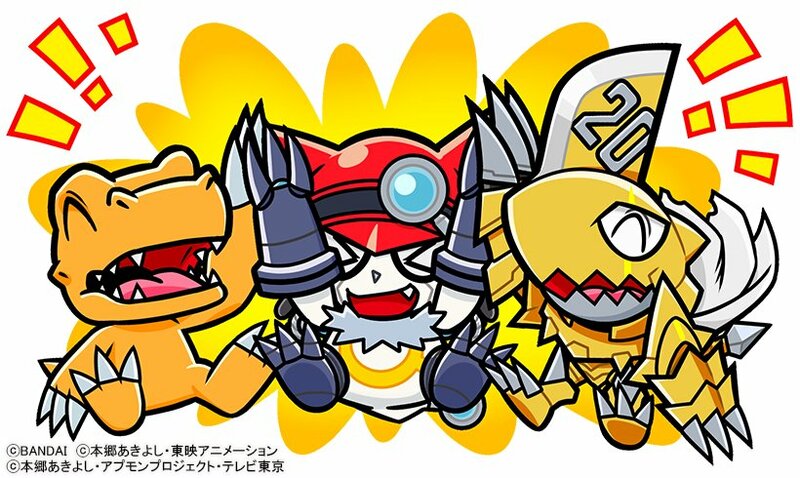 These are all by Soh Moriyama, as the Digimon social media art has generally been, and the theme isn't just New Year's activities, but going thru the history of the Digimon anime, which make it extra fun! We're including short basic descriptions of the activities, but not going into deep detail on them, but feel free to look up more about them if you want. The second, using Digimon Adventure 02, is V-mon and Wormmon playing with a kite that's themed after Paildramon! At the halfway point we get Digimon Frontier, with Agnimon and Wolfmon playing Hanetsuki, which is similiar to badminton. Then we get a bit of a surprise with X-Evolution! 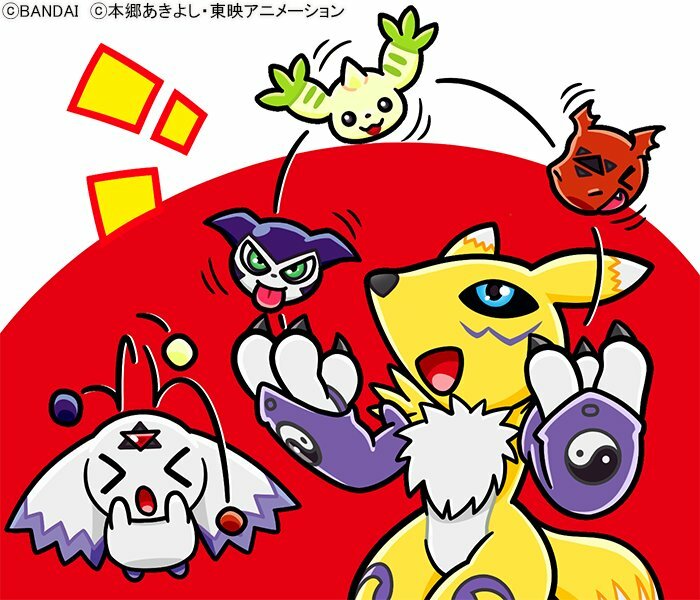 Dorumon and Tokomon X-Evolution are playing temari, a handball game. We're almost done and here is Xros Wars! 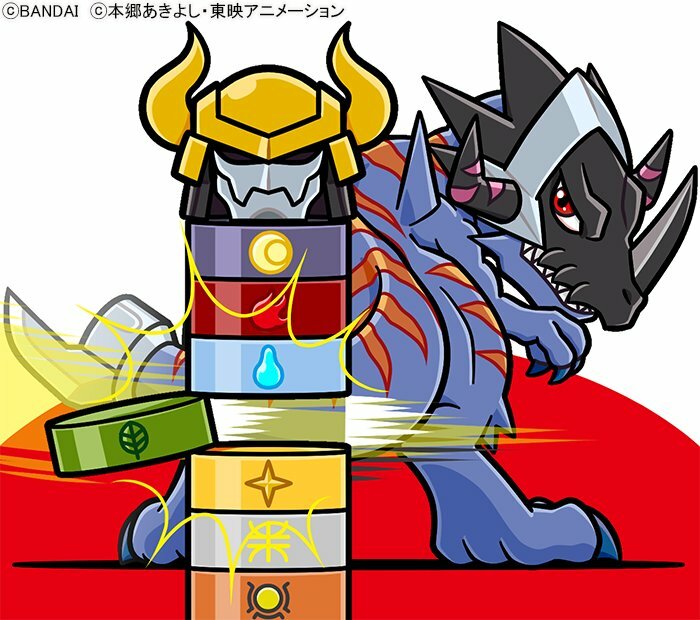 Greymon is playing daruma otoshi. You use a small hammer (or in Greymon's case his tail) to hit the color pieces without letting the head piece fall. The head piece is DarkKnightmon, and all the color pieces have the symbols of the Death Generals on them. Hunters doesn't get it's own card, as Hunters is treated as a third arc to Xros rather than it's own show. And last up is Appmon! 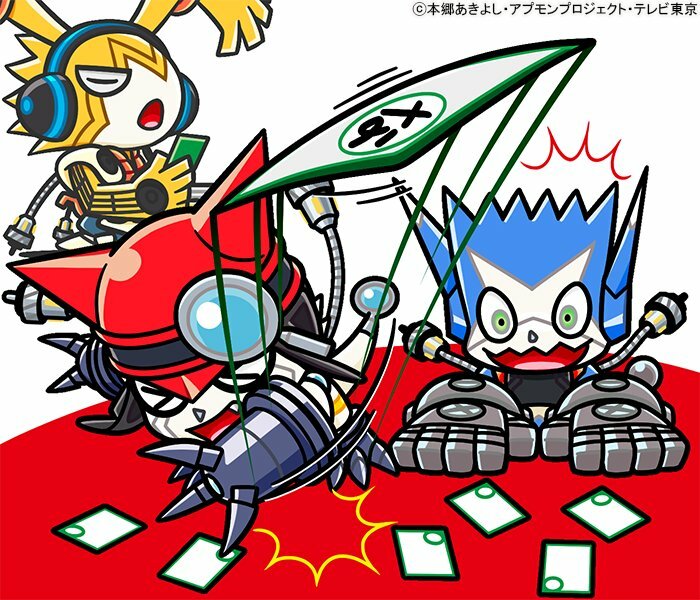 Gatchmon, Dokamon, and Musimon are playing karuta, a card game based on grabbing certain cards before your opponent. It's a fantastic set of 8 images posted over a week and a half to celebrate the new year! 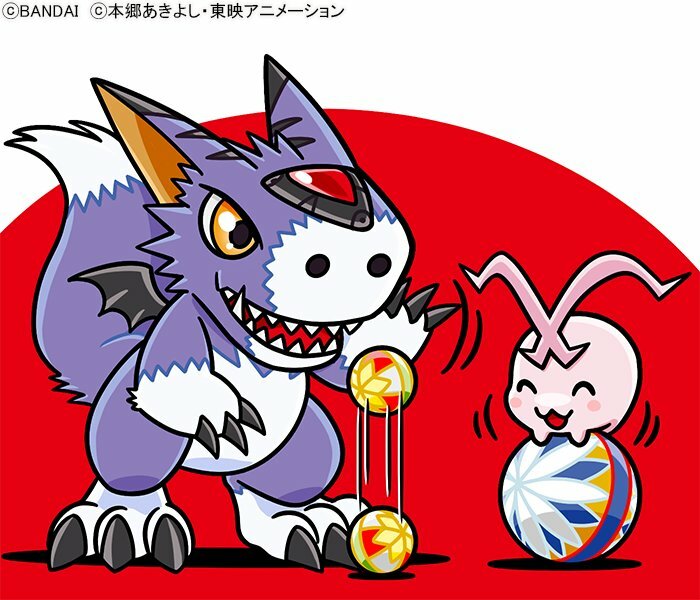 Going over the entire history of the Digimon anime gives a wide range of fun characters and activities to see! Update- And we have a surprise 9th image! A post New Year's play image featuring tri. and Hunters, who didn't get New Year's play images! Meicoomon from tri. 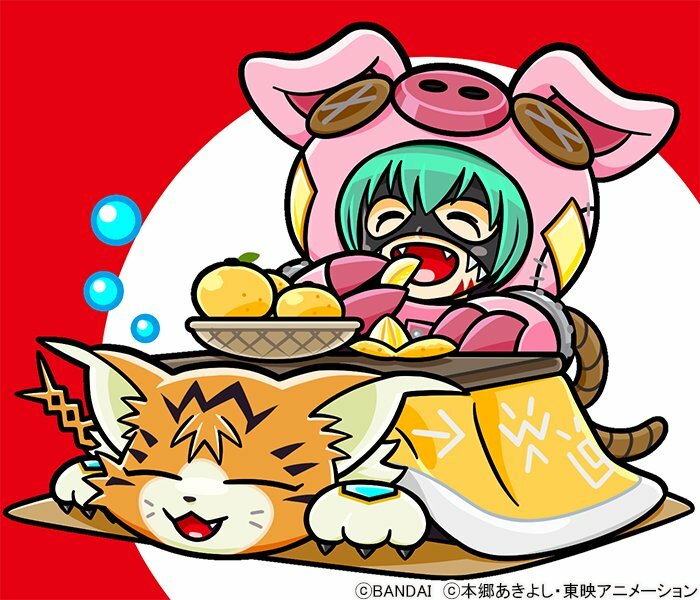 has fallen asleep under the warm kotatsu while Cho·Hakkaimon from Hunters is resting at the kotatsu while eating citrus fruit. I say the Digimon X-evolution movie is a surprise. I thought they are only going to do the anime, and not a movie. 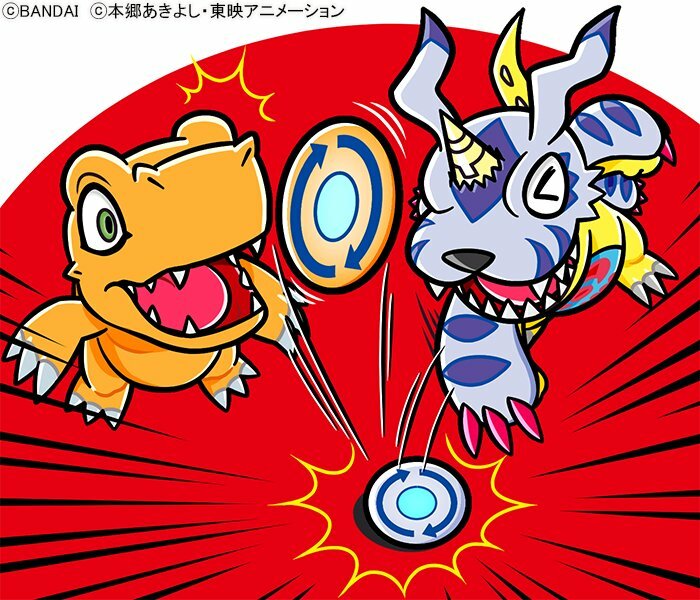 I hope now they bring up a real season on the X-antibody Digimon. They already have 4 natural carriers that can be for the tamers. I mostly shocked they mentioned the fact Appmon exists. The art is cute. especially Tokomon X. I glad the drought is over. we were all worried. 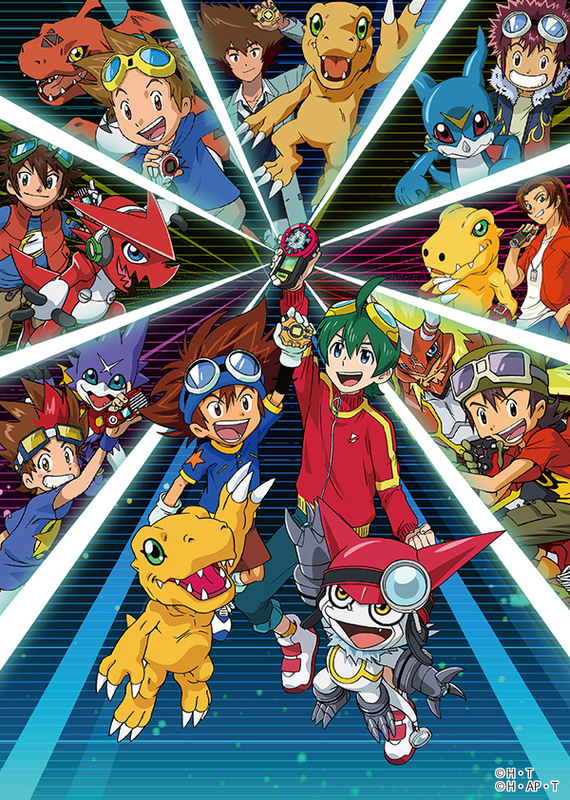 While it's a spin-off Digimon series, Appmon is still a Digimon series. 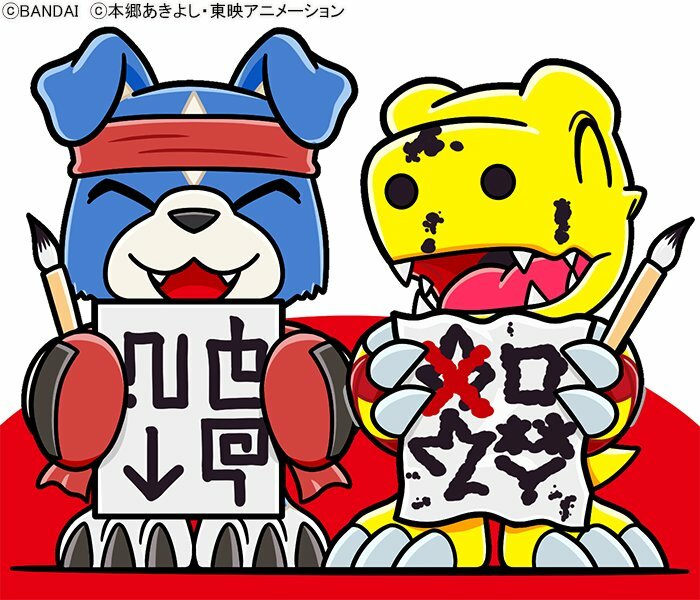 It's also not the first time the Bandai twitter has posted cartoons featuring Appmon, nor is it the first time Appmon has been counted among the mainstream Digimon series. Wonder why they skipped Hunters and tri. though. Read the article for an explanation. His profile for the Pendulum artbook interview mentions it. He also tweeted about it, seemingly only willing to confirm it since the book had the information. They're really nice! 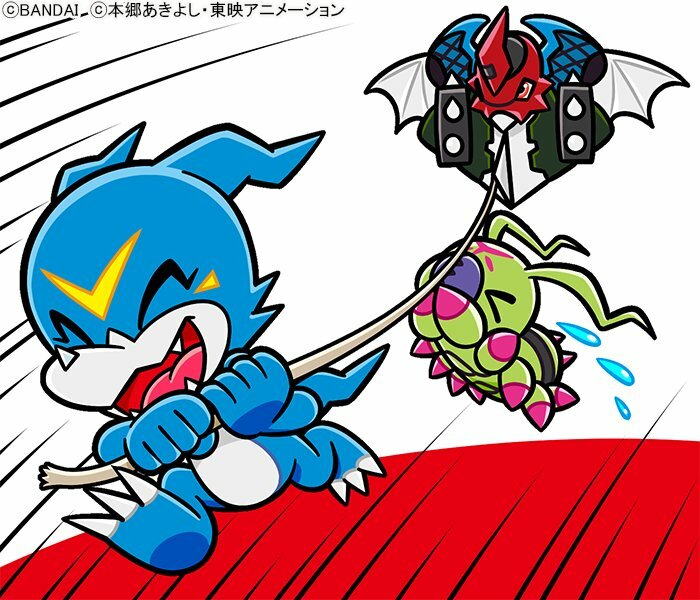 Wormmon hanging onto the kite is really cute! Well isn't all this just freaking adorable. I think I knew of a lot of these or at least heard of them once. Great stuff. Thanks. Removed a couple of posts. Read the article as Marc mentioned in post 7 and you get your answer.